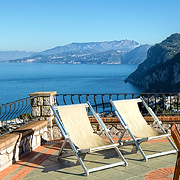 "If you're planning to stay on the Island of Capri, this really is the only place to stay". 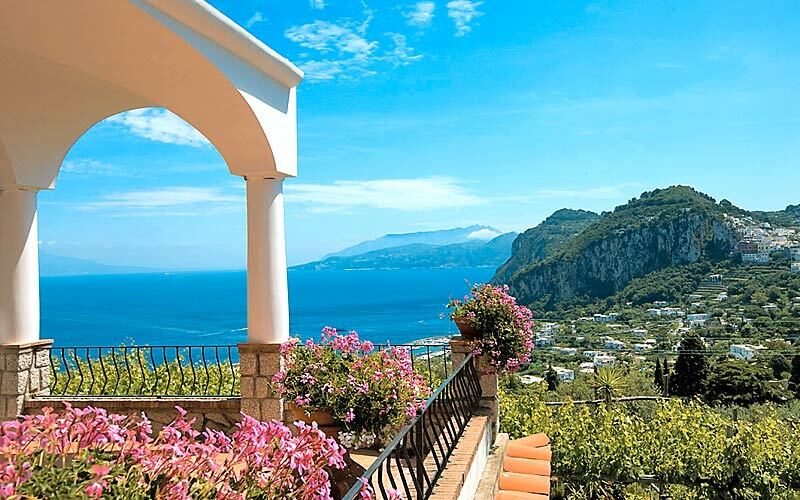 This is how one guest raved about her experience at Casa Aiano in Capri...just one of the many fabulous reviews by former Aiano guests! "We were expecting a simple B&B. 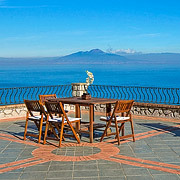 What we found was one of the most beautiful home-from-homes imaginable." 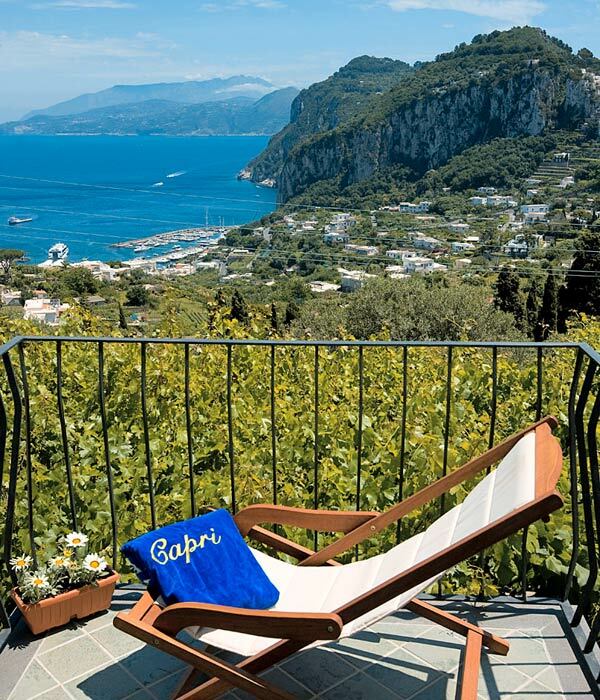 On the road between Capri and Anacapri, Aiano lies just ten minutes away from the Piazzetta - the heart of Capri's glamorous social life. Stay at Aiano and you'll be made to feel at home from the moment you walk through the door, thanks to the warm hospitality offered by the owners, Tonino and Giusy. 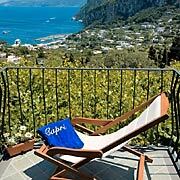 Want to experience the very best of Capri? Have a chat with Tonino, a retired tourist guide and an invaluable source of precious insider information! "Feel free to put yourself into Tony and Giusy's able hands, they'll make sure your holiday is a truly unforgettable one." 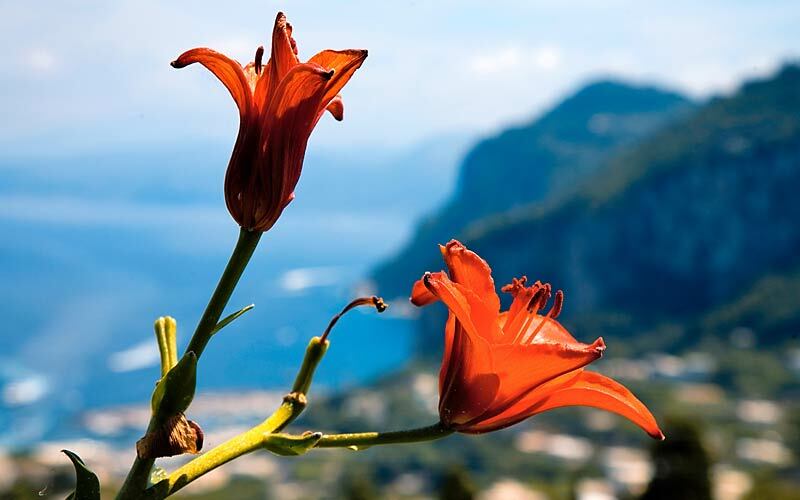 "Capri, the Sorrentine peninsula, Naples...it's all here, just around the corner ... and as for the view in the evening, I have yet to see anything as beautiful." 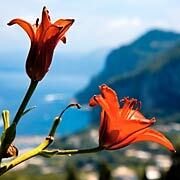 Aiano is located at the beginning of the road which links Capri with Anacapri. The Piazzetta is just a pleasant ten minute stroll away. There is a bus stop almost directly opposite the house, from where guests can catch buses to Anacapri, Capri town center, and the port of Marina Grande. 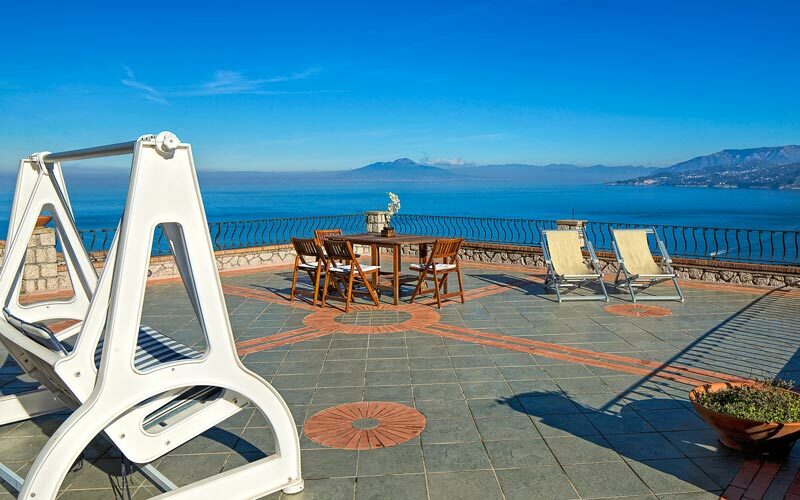 It will take you just 15 minutes to walk to the beautiful bay of Marina Piccola. There's a supermarket and a number of restaurants and bars within 5 minutes of the guest house. 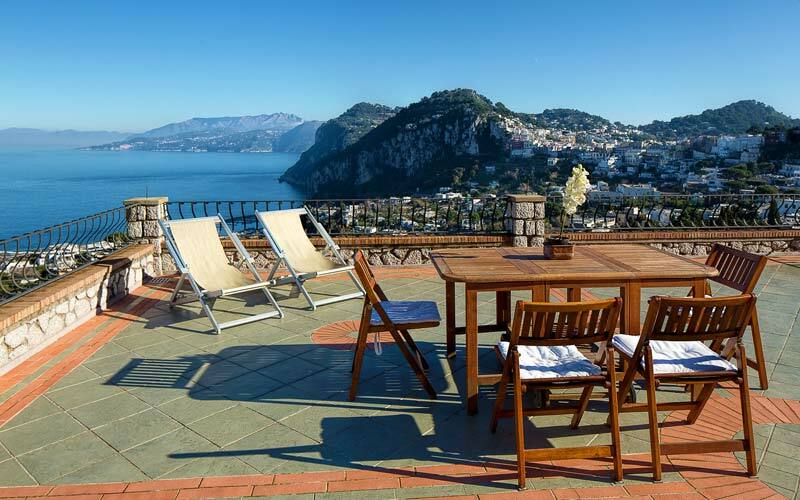 "Strategically located, whether you want to spend time by the sea or in the center of Capri, Aiano is on the bus route to all the island's major attractions." 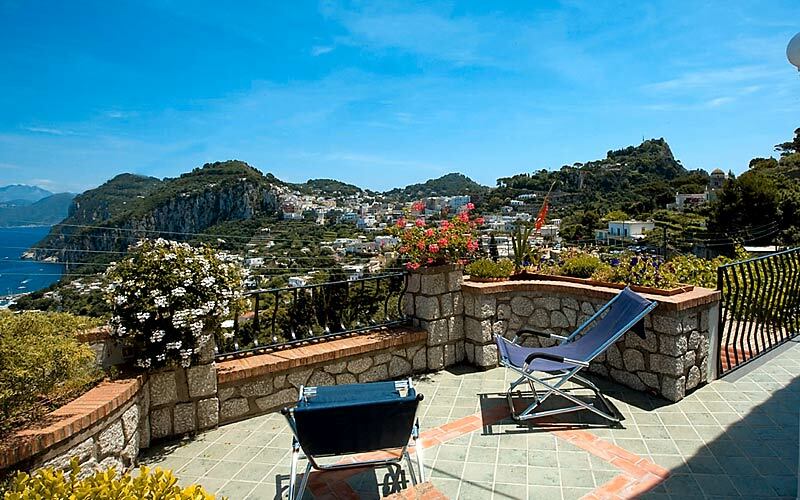 A sun-drenched terrace, furnished with comfy loungers and a swing seat, where you can relax after a morning exploring Capri or enjoy a romantic sunset aperitif on your return from the beach. A peaceful little patch of paradise where you can spend an evening with that special someone, watching the flickering lights of the fishing boats, bobbing in the sea surrounding Capri. 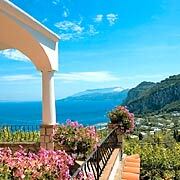 "White walls, vaulted arches, floors in Neapolitan terracotta, magnificent terraces looking out over the island and the sea, a garden abundant in delicately scented fig, lemon and orange trees... 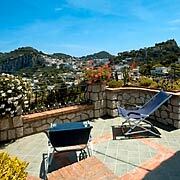 I fell in love with this beautiful Mediterranean B&B, the moment I arrived..."